jim baker is an improviser based in chicago who focuses on the keyboard arts – pianos, keyboards, synthesizers. 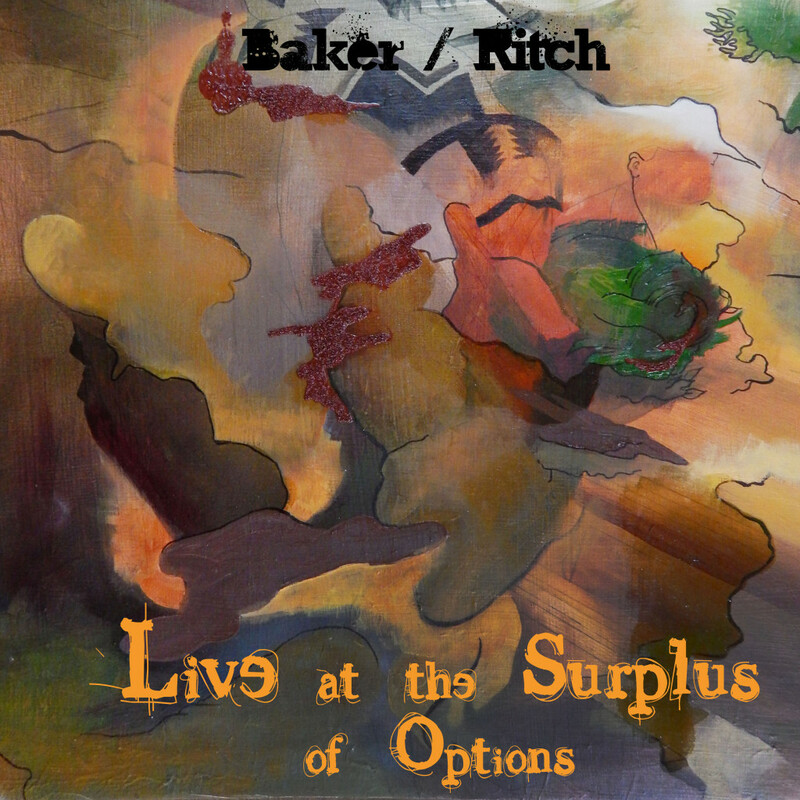 since the 80′s baker has played in numerous groups in chicago’s free improv scene. he has performed throughout the united states and europe and plays almost weekly with the group, extraordinary popular delusions. his activities as a writer / composer have been ongoing during the past twenty years, and some of his compositions have been recorded by steam and broken wire. along with classical training in cello and piano, sarah ritch also played guitar and bass in several punk and metal bands between 1996 and 2003 in las vegas, nv. existing in two aesthetic worlds, sarah’s work ranges from improvisational noise to tonal notated music. she has been the composer-in-residence for chicago classical ensembles the millennium chamber players and anaphora, and regularly performs solo and with her free improv band, sound collision alliance. this album documents the first meeting of these two chicago improvisers that went down on january 15th of 2013 at the surplus of options in chicago. sarah played electric guitar and cello and jim played electronic keyboards. the sound is: modem scratch. mechanical wood. tone bits. crushed fragments. surprise skree. atlantis shred.